NEW YORK Billionaire investor Carl Icahn wants Dell (DELL) to remain a public company and proposed rewarding shareholders with a large dividend payment instead of becoming private in a $24.4 billion buyout. He says the amount being offered by a group led by Dell founder and CEO Michael Dell substantially undervalues the slumping PC maker. Icahn wrote in a March 5 letter to Dell directors that the Round Rock, Texas, company should chose his alternative, which would involve a special dividend totaling $9 per share, if shareholders reject the buyout plan that was announced last month. 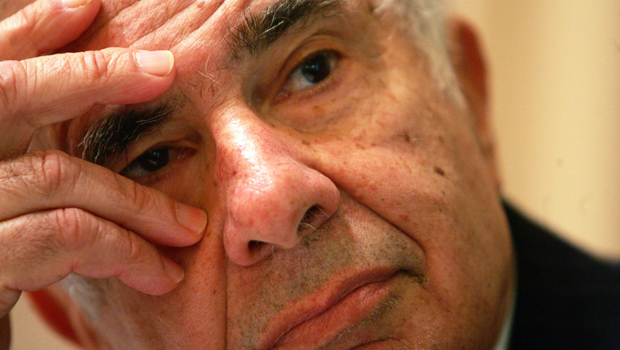 If the board declines to promise that, Icahn said the company should combine a shareholder vote on the buyout with its annual meeting to elect new directors, for which he will nominate a slate of candidates. "If you fail to agree promptly to combine the vote on (the buyout) with the vote on the annual meeting, we anticipate years of litigation will follow challenging the transaction and the actions of those directors that participated in it," said Icahn, who joins other major shareholders in opposing the buyout plan. Michael Dell, backed by other investors led by investment firm Silver Lake, is trying to buy out the company for $13.65 per share. The company has been trying to reduce its dependence on PCs, which are becoming tougher to sell as more people switch over to smartphones and tablet computers. Michael Dell says the company can thrive again by expanding into business software, data analytics and storage and other more profitable niches in technology - a transition that he says will be easier without having to worry about the short-term financial interests of Wall Street. If the current agreement is approved, Dell will end its 25-year history as a publicly traded company. But Icahn wrote that the PC maker's future is bright, and all shareholders should benefit from that, not just Michael Dell. He said Icahn Enterprises holds a substantial stake in Dell but did not specify how much. Icahn specializes in buying out-of-favor stocks and then pressuring corporate boards to make deals or other moves to boost the share price. He said in the letter that Dell could pay for the special dividend with available cash and as much as $5.25 billion in new debt. Dell's special committee has said it already considered a special dividend during a "rigorous" five-month review that culminated with the buyout plan. It said Thursday in a statement that it is conducting a search for better alternatives to the proposed buyout, and Icahn and others are welcome to participate. "Our goal is to secure the best result for Dell's public shareholders - whether that is the announced transaction or an alternative," said a statement from the committee. Southeastern Asset Management, an investment firm that owns an 8.4 percent stake in Dell, has contended that Dell is giving its founder a bargain with the current buyout offer. Mutual fund manager T. Rowe Price (TROW), which owns a nearly 5 percent stake in Dell, also is lobbying against the deal. Shareholder Forum, a group that seeks to protect shareholder interests, has said it wants access to the same information that influenced Dell's special committee to sell at $13.65 per share. The information would be used by experts to perform an independent evaluation of the proposed sale to help shareholders understand if it's the best choice. Dell shares have traded above the buyout offering price since the deal was announced, a sign that investors expect a sweeter offer. The stock climbed 3 cents to $14.35 before markets opened Thursday morning.